These durable acrylic plastic double-wall wine glasses are great for taking your vino on the go, and with the no spill lid, you can make sure you don’t loose a drop no matter how much you consume! 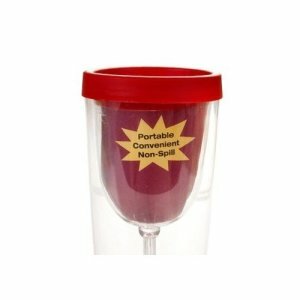 Great for picnics, cook outs, block parties, and concerts. This set includes 2 – 9-oz. 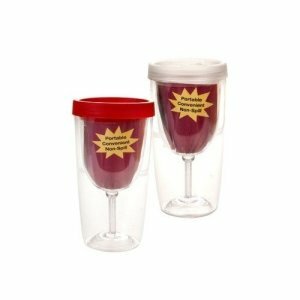 double-wall clear plastic wine glasses with lids assorted among the lid colors shown.